“Systems for Future Mobility” is Brose’s theme for Auto Shanghai 2019. The automotive industry is changing rapidly: Connectivity, autonomous driving, new mobility concepts and electrification are shaping the future. Under the theme “Create a better life”, visitors to this year's Auto Shanghai will experience the transformation of the car from a simple transportation vehicle to a comfortable living space. From 16 to 25 April, Brose, the specialist in the interaction of mechanical, electrical, electronic and sensor systems, will be presenting a series of innovative solutions to underline its motto “Systems for Future Mobility”. Brose will be showcasing system solutions that address end users’ requirements, for example in the area of autonomous driving. The power side door drive makes it possible to open and close vehicle doors automatically. In addition, it enhances driver and passenger safety by identifying obstacles and stopping the door before a collision occurs. Side bolsters on the seat will fold down and the seats will move 45 degrees toward the door. This offers drivers and passengers a brand new vehicle access experience. The smart interior system enables maximum flexibility in the vehicle interior space catering to different scenarios. All adjustments can be fully remote controlled via a smartphone app. Brose has also aligned its drives with advances in vehicle electrification. One of the solutions on display will be a modular motor and electronics kit with standardized components. Brose meets a variety of electrical systems architecture requirements for all types of voltages – ranging from 12 to 810 volts. Applications include electrified auxiliary systems such as climate compressors. The electrical system, which only works when needed, makes it more economical. In addition, Brose is committed to fulfilling consumers’ needs in the Chinese market by providing value-added solutions. 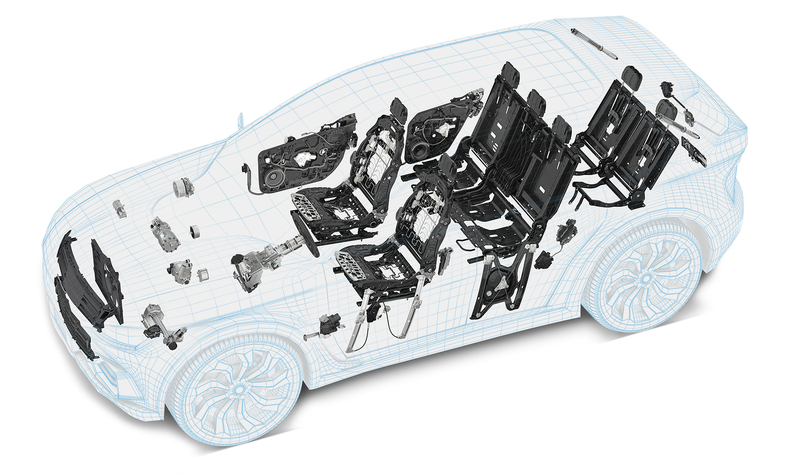 For example, the 14-way power seat structure shows the company’s strategic approach to local development and application. With minimal adjustments, it can be used for various vehicle platforms of different car manufacturers. Discover more at the Brose stand 6BF100 in hall 6.2. Brose started its activities in the Chinese market in 1996 and has been growing ever since. Today, the mechatronic specialist is represented with 11 sites in six of China’s most important automotive regions Shanghai, Beijing, Changchun, Chongqing, Wuhan and Guangzhou and has localized its entire product portfolio as well as its research and development expertise in the country. The company employs around 4,400 people in China and generates a turnover of approximately 1.2 billion euros (9.4 billion rmb).